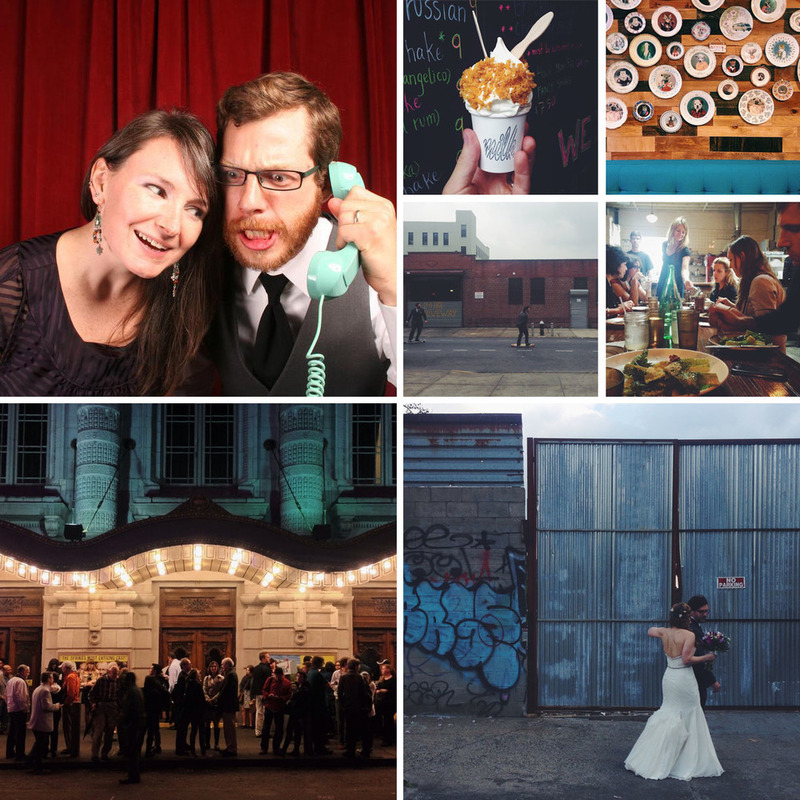 We're not going to downplay it, 2014 was a big year for us; probably our best so far. We covered a lot of ground, with four beautiful weddings that enticed us across the country, a long-anticipated move to a new state, and more than one free hotel stay. Since we didn't blog about every trip, we thought another yearly roundup would allow us to share a little bit more of our travels. 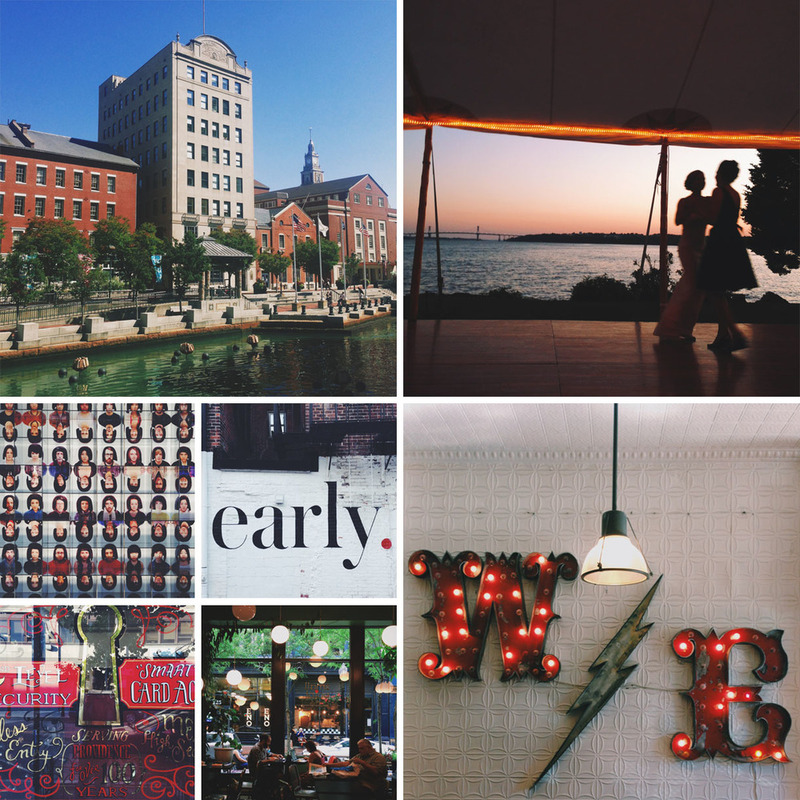 Here are our ten favorite places that we visited in 2014. For over a year, the Duke City was our home, and we had a blast. We were lucky enough to experience the city in the midst of its transformation into a foodie (and drinkie?) destination in its own right. ABQ was recently rated the 4th best city for beer lovers in America, it boasts the sixth best hotel in the US for food lovers, Los Poblanos; and, its new weekly farmers market at The Rail Yards is impressive. It didn't hurt that we lived a 5-minute drive to prime hikes in the Sandia Foothills; we regularly wandered up there at sunset. If you're ever headed there, let us know. We've got a good list of musts! Both of us spent four years living in Providence during college, and this small New England city will always hold a special place in our hearts. We were only in town for a weekend, but we loved revisiting old haunts (Brown and RISD campuses, for starters) and exploring re-vamped parts of the downtown. The trip was even more special because it reunited us with many of Kristen's best friends from Brown for a stunning wedding out at Bristol overlooking the Narragansett Bay. We were even able to spend the last day around town with one of Loren's best friends from RISD. Providence, we love you. Another wedding brought us to South Florida, where we surprised Kristen's mom on her 60th birthday, traveling incognito on a redeye from Denver to Ft. Lauderdale. After the big surprise, the whole family set off on a roadtrip down to Key West for our cousin's beautiful beachside wedding and sunset catamaran reception. Over the course of a few days in paradise, we had our fill of Cuban coffee (cortaditos, por favor! ), Cuban sandwiches, and lots of fresh seafood. 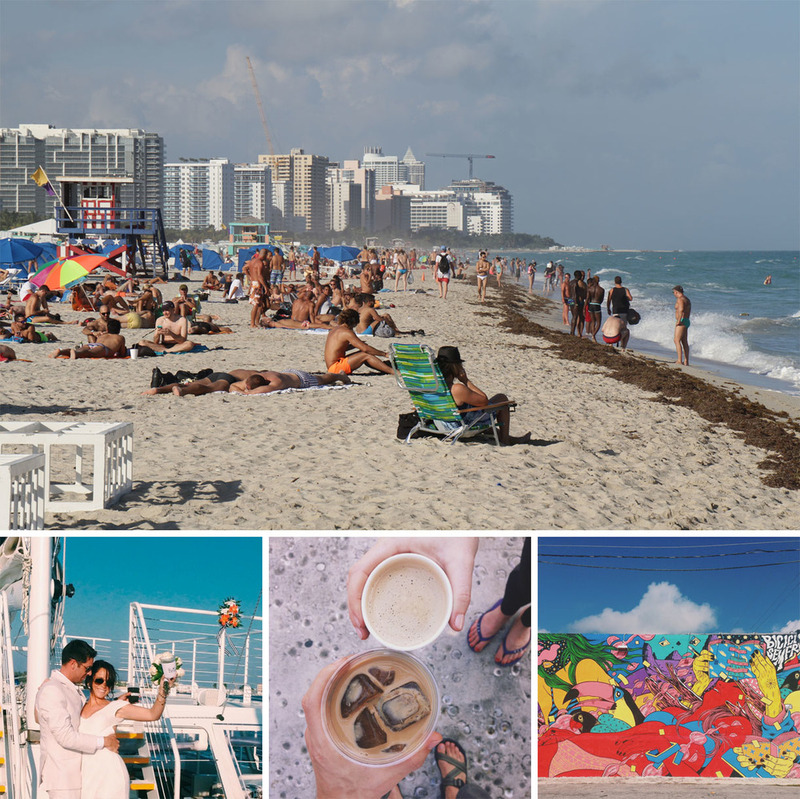 Just before flying out, we caught some cool street art in Miami, met up with a friend in Little Havana, and even got to South Beach to put our feet in the water. We can't ever pass up an opportunity to visit New York, so when we found out that Loren's best friend from high school would be married in Brooklyn in May, we were stoked. Aside from fun wedding festivities, our trip also included amazing pizza at Roberta's, Momofuku Milkbar cookies and cereal milk soft serve, dinner at St. Anselm, a star-studded Broadway play at the Lyceum theater (Toni Colette, Michael C. Hall and Marisa Tomei, in person! ), and a late-night bacon-wrapped Crif dog. To say that LA has grown on us would be an understatement. We have totally fallen in love with the amazing food, the artsy neighborhoods, and the near-perfect weather that the city offers. In April, we made it to LA to see one of our best friends get married beachside, and the next day was spent eating and drinking our way around town. After a caffeine boost at G&B Coffee in Grand Central Market, we wandered around Frank Gehry's shiny masterpiece Walt Disney Concert Hall and more of the downtown, which is in the midst of a revival. We shared a delicious lunch with a friend at Chego, and then capped off our day with boozy slushy drinks at the ultra-hip Ace Hotel. When Loren won free airfare for two and a four night stay at a centrally-located hotel in DC, we embraced a revisitation to the area in which we both grew up. We acted like tourists, riding Bikeshare all over town doing as many new things as possible. Highlights include the National Building Museum, the Martin Luther King, Jr. Memorial, and lots of eating and drinking with longtime friends. We purposely aligned the visit with our third anniversary, so after checking out we headed to the Inn at Little Washington for the best meal of our lives, followed by camping in Shenandoah. With two free night vouchers for any DoubleTree hotel, time to spare, and Loren's birthday as an excuse, we set off on an impromptu roadtrip with an end destination of the Tropicana Las Vegas. 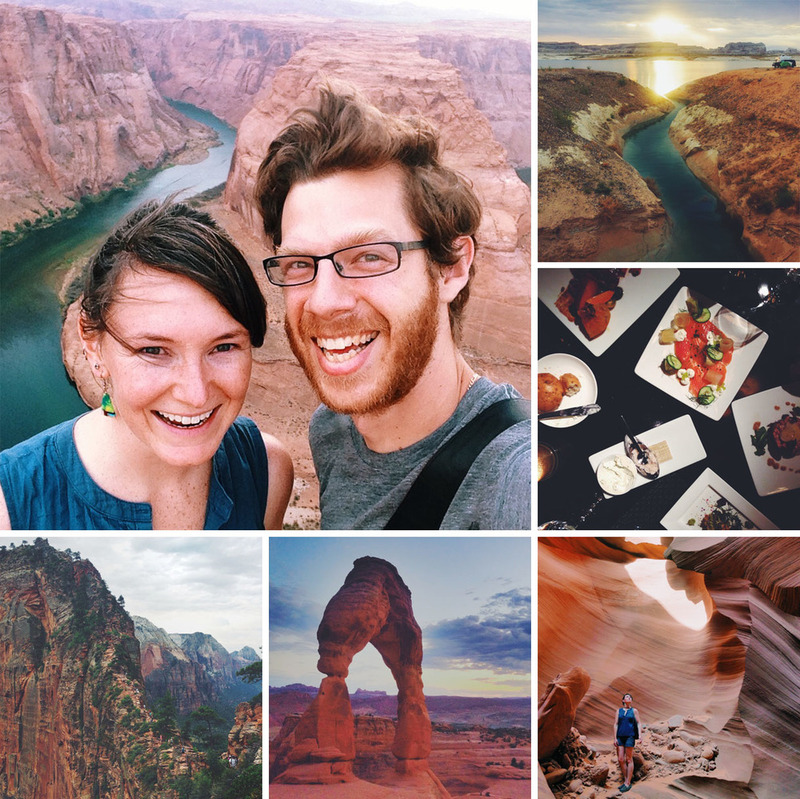 Our wild west adventure included first-time visits to Arches National Park, Monument Valley, Antelope Canyon, and Lake Powell, all of which are spectacularly gorgeous. We even got to visit one of our favorite national parks, Zion, and did one of our bucket-list hikes up to Angel's Landing, before cruising into Sin City for a reunion with most of Loren's family. Dinner at a fancy restaurant, a Cirque du Soleil show, a Blue Man Group show, and an afternoon at the Tropicana's poolside made for a fabulous way to ring in Loren's 31st year. It turns out that Loren's many hours spent making travel videos weren't a complete waste of time. An international hotel brand, DoubleTree by Hilton, sponsored him to travel around Australia for three weeks in January to share videos, photos and blog posts along the way. Thankfully, Kristen was able to come along for the adventure. 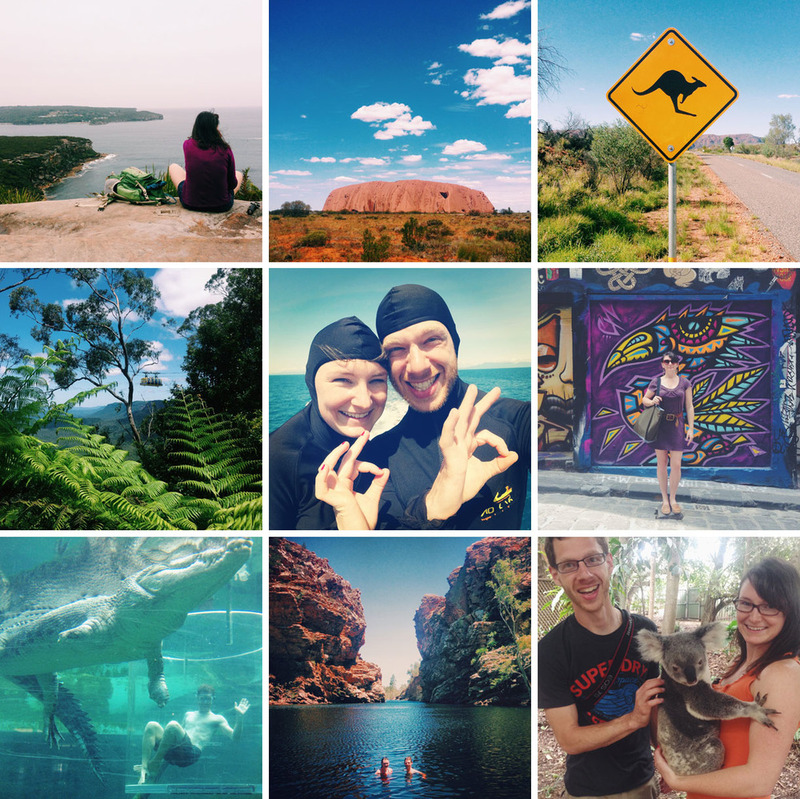 Throughout six cities, we cuddled koalas, scuba dived at the Great Barrier Reef, toured the Outback, and fed huge saltwater crocodiles. We loved the country so much, every once in a while we find ourselves searching for apartments Down Under. After years of talking about it, we finally moved to Colorado! June marked the first time that we were able to unpack our belongings in two years. We're now situated in a cozy 1940's era duplex in one of Denver's best neighborhoods, West Washington Park, and could not be happier. 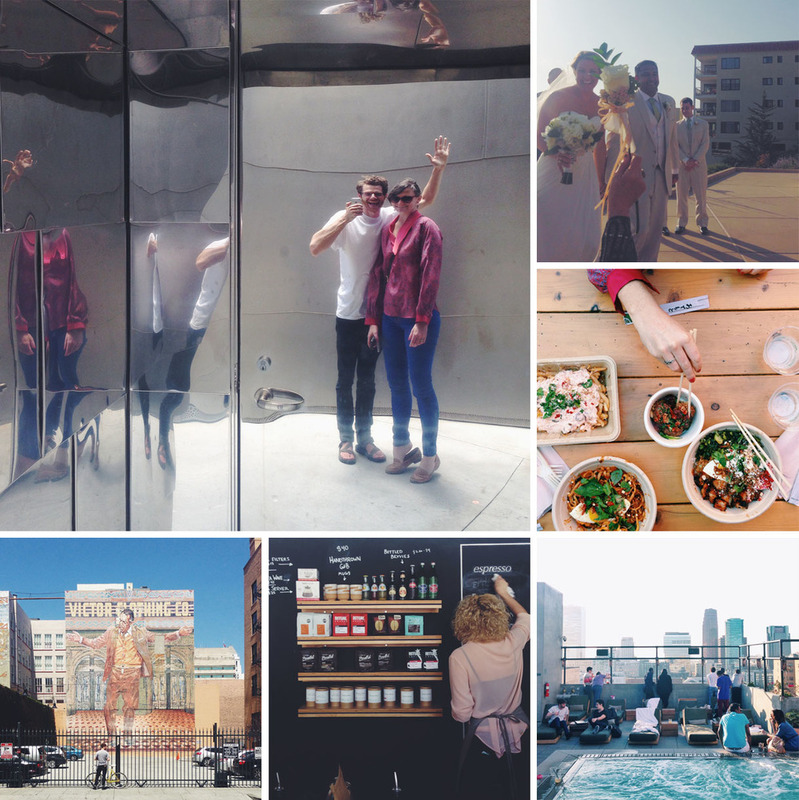 It's been a busy six months of exploring the restaurants, cafes, bars, shops, libraries, galleries, and parks in Denver, not to mention scoping out good camping and hiking spots in the mountains. Now with winter upon us, we are eager to put our Epic passes to use and hit the slopes as much as possible. Life in Colorado is everything we wanted and more, which is why we are proud to put Colorado at the top of our 2014 list! We hope you were able to get out and explore this year too! Wishing you a 2015 that's happy, heatlhy and filled with adventures! Meet Ellie and Wally, our 5-year old cats. For a while now, I've talked about making cat costumes that play off their names. This year, I decided that I'd accept the challenge, and just in time for Halloween. Never mind that the last time I used a sewing machine was in 1997, for a class in 7th grade. So, after 2 days of toiling on Wally's costume (including a good deal of aggression towards the sewing machine) I ended up with the Narwally suit, equipped with a horn, fins, and spots. Wally hated wearing it, so in the future I'll have to tweak the design in order to avoid his whining and nips. But I did manage to capture a couple of photos, and that's really all that matters. Ellie's costume, also known as the Elliephant suit, came along much quicker and I have to say, I was pleased with the end result! I think that it succeeded partly because it's much easier to slip on over the cat's head, whereas Wally's was a full suit that required tying around the neck and slipping his legs through holes. I even had time to add button eyes and a little tail, details I hadn't planned for. The best part: Ellie didn't hate her costume as much. Just wait for next year - we've got a running list of ideas for more cat costumes. Happy Meowloween! Life's really happening, so we’re doing our best to live it to the fullest by traveling near and far, eating good food, and connecting with people along the way. Follow us as we chronicle our adventures around the globe and make the most of this wild ride.